We know it’s tough to be cautious about your health and diet on the road. With limited time, space, and options, it’s no wonder many truckers will resort to fast food and energy drinks to sustain sustenance on the road. Fitness is an incredibly important aspect trucking, so it’s important that you’re watching what you eat. Unfortunately, unhealthy eating on the road can have drastic consequences. Studies have shown that almost half of all truckers suffer from at least some form of health risk involving obesity (hypertension, high cholesterol, diabetes). While many will view this just as “the trucker lifestyle,” healthy eating on the road can put thousands of more miles on your life expectancy so you can keep on truckin’ for days to come. Below are just a handful of healthy snacks for truckers you can find at many gas stations and almost all supermarkets. 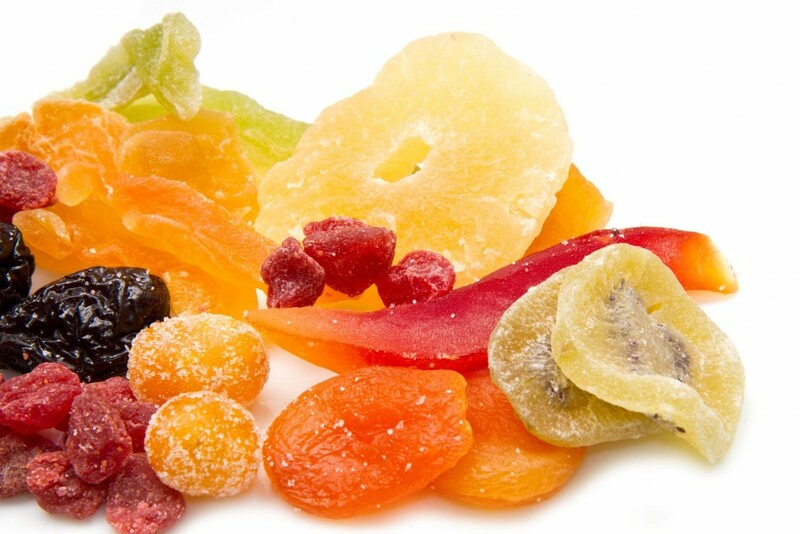 Fresh or Dried Fruit – This is perfect for all you sweet tooth’s out there. Instead of picking up a candy bar filled with trans fats or sugars. Fruit contains less sugar and fat while still satisfying that sweetness you’ve been craving. Fruit also contains Vitamin C and Fiber, which will keep your body functioning all throughout your journey. Dried fruit also lasts quite a while and will take up less room in your rig. Although it loses some nutrients through the drying process, it’s still a great alternative to candy. Fruit is a great way to get that burst of energy you need in the morning as well! When it comes to healthy snacks for truckers, this sweet treat is a great one! Sunflower Seeds – These little guys pack quite a nutritious punch. Containing a smorgasbord of vitamins and nutrients like Vitamin B, Vitamin E, and Magnesium, sunflower seeds can be eaten alone for a quick boost of energy or added to other things like salads, chicken, or trail mix. Other seeds to consider are pumpkin and flax seeds. These healthy snacks for truckers are easy to pack and great for on-the-go. Hard Boiled Eggs – These will most likely need to be prepared at home, but hard-boiled eggs are high in protein, but low in calories. Although they contain a lot of cholesterol, you can eat them in moderation. These guys can lower your risk of heart attack and kick-start your metabolism. Did you know you can even hard-boil an egg in the microwave? If you’ve got one installed in your rig, you’ve got access to hard-boiled eggs whenever you want! String Cheese – Perfect for on the road. String Cheese is a perfect snack to go. Although we don’t condone eating and driving, the portability of this snack couples well with its high calcium content and low calories. You won’t want to keep these baking on your dashboard in the sun, but they’re a great breakfast snack to kickstart your morning. When it comes to healthy snacks for truckers, you need the calcium to keep you in top shape, and this is an easy way to get it! 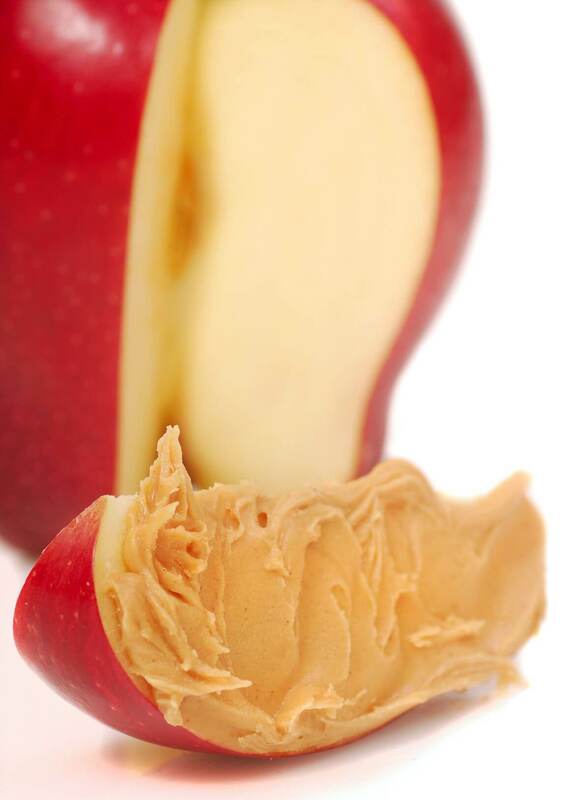 Peanut Butter – For a while peanut butter got a bad rap. Many thought that its fat content outweighed its benefits. However, research has shown that while it does contain fats, many of these are “good fats.” Spread it on crackers or assorted veggies and it’s a great protein-filled snack for your travels. Beef Jerky – Be careful when choosing this snack. Many brands pack their product full of sodium and preservatives. Look for brands labeled “low sodium” or “natural ingredients. If eaten in moderation, beef jerky is a great source of protein for long haulers, however, too much sodium can raise your blood pressure. Smoothies – Either prep these before your trip or grab some premade smoothie options at your local supermarket. Be wary of the amount of sugar and preservatives in premade smoothies. If you have time, it’s best to whip some up yourself, adding fruits, vegetables, and even protein powder for an extra boost. Put down the sugary sodas or energy drinks and pick up something that won’t give you that midday crash. Healthy snacks for truckers come in all forms, including a nutritious drink. A smoothie is the perfect way to get the energy you need to get through those long hauls. Low-Calorie Gum – This might seem like an odd choice, but gum actually has a variety of health benefits. Chewing gum suppresses hunger and will curb your urge to snack on something unhealthy. It also provides a quick burst of energy that will keep you awake during those long hauls. Many also switch to chewing gum when trying to quit smoking. What are some of your favorite healthy snacks for truckers while on the road? Comment your favorite recipes or munchies below! Listen Here: Learn more about maintaining a healthy lifestyle on the road! Very interesting and informative post, special thanks for the links, I hope that your article will be helpful.